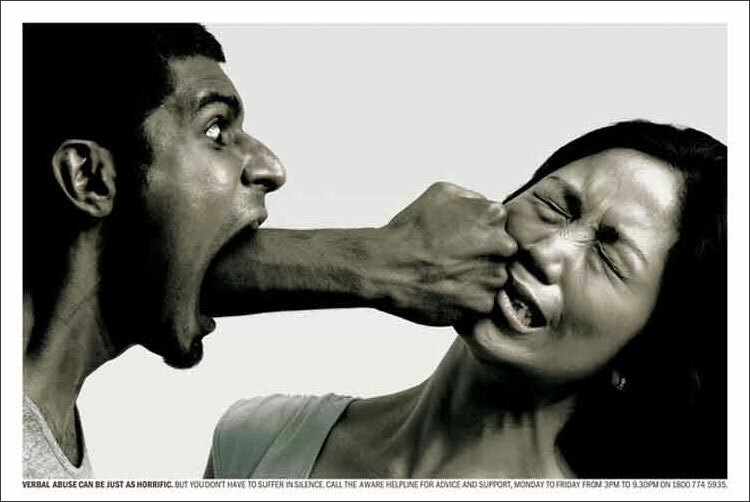 - Saatchi Singapore adds what AdFreak calls a bit of Evil Dead to a domestic abuse campaign which focuses on verbal abuse. - Advertising Age's Simon Dumenco rounds up the top seven "most awesomest" American Idol moments of this season. Well OK. So now when you troll MySpace, Facebook or whatever your favorite daily social diversion may be, you can view, yes, even more ads courtesy of SocialVibe, a service that lets people choose brands they wish to endorse with a widget they can embed on their profile pages or blogs. For example, Nicole Lynn's cleavage endorses...oops, I mean Nicole Lynn endorses Adobe. By displaying the SocialVibe badge on profile pages, people get points they can use to donate to charities as well as the chance to win trips, gadgets and entry to events.